We specialise in School Prom Limo Hire and Prom Night Cars for Hire… Arrive at your prom evening in one of our American Stretched Limousines and Stand out from the crowd and celebrate in a class above the rest. Our Prom Nights promise to be an outstanding experience. We will collect you & your friends from your home allowing plenty of time. Take a photograph, play your favourite music and let the evening begin!! Our promise to you is to offer the finest & latest Limousines available in the UK. Our Limousines are cleaned & regularly maintained. 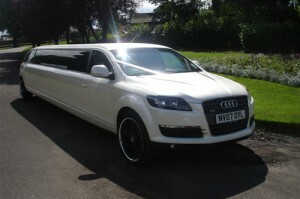 1st Class School Prom Limo Hire Leeds and West Yorkshire, If you are looking for a Prom Night Car for Hire then Ace Star is the perfect place to find the show-stopping vehicle of your dreams.